We were invited to my husband's cousin's Thanksgiving dinner. While there, I took several photographs. I didn't know a lot of the people, which made it interesting. 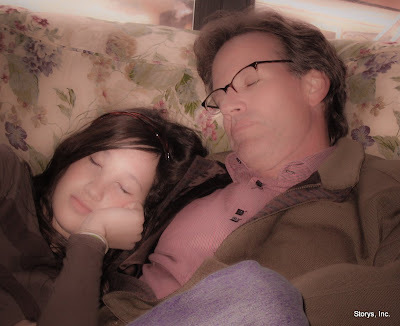 However, I managed to capture this perfect shot of a father and daughter catching a nap after dinner.